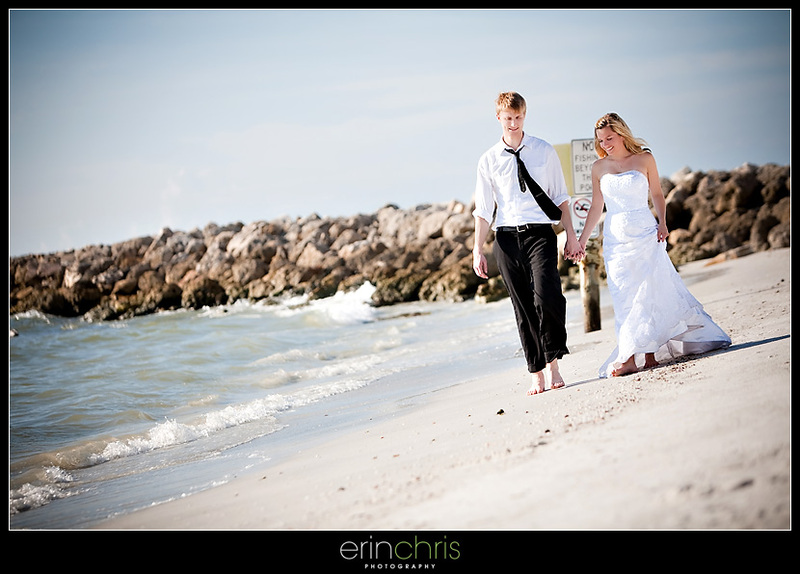 Right after their wedding, Krysta told me she couldn't wait to go in the water with Justin and get some more pictures taken in her wedding dress. 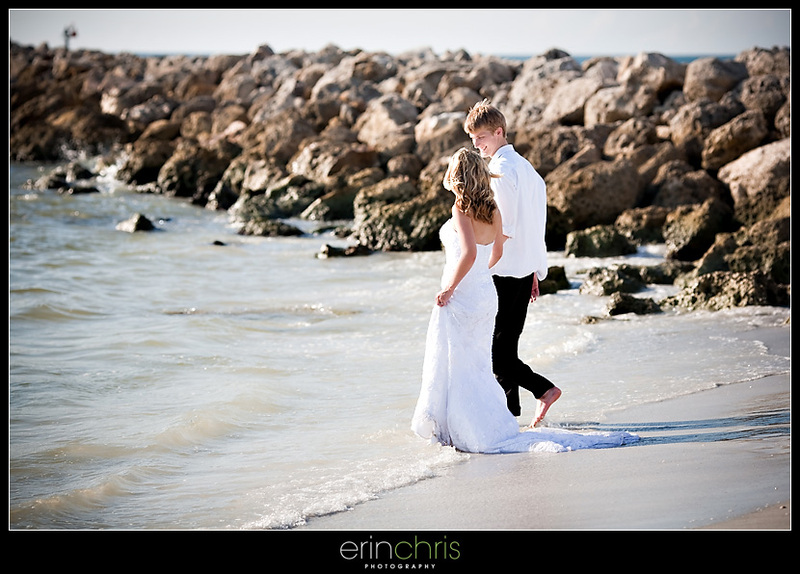 This weekend we finally got the chance, so we headed down to Sand Key Park for a few more photos. 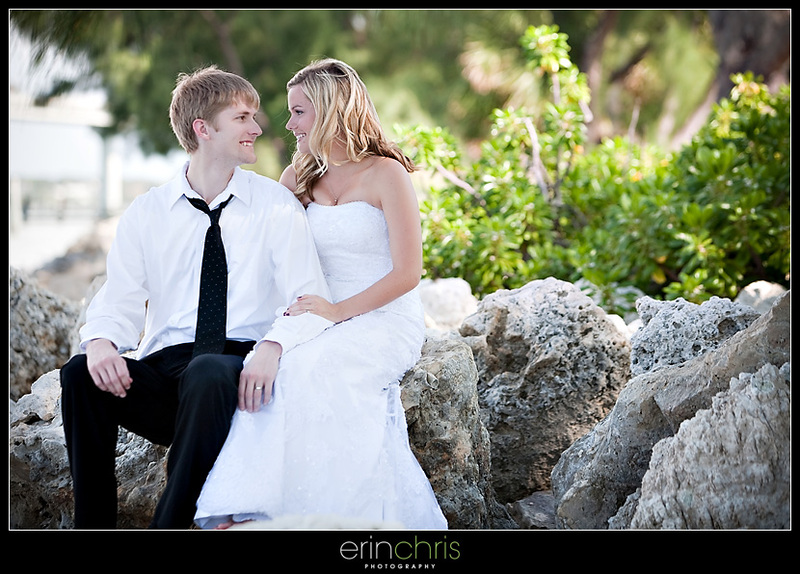 Krysta wore her hair up in a formal style for the wedding, and I love that she wore it down in a more relaxed style for this shoot. We walked around the park for a little while and when it got too hot to stay dry any longer, she and Justin took the plunge. Here are some favorites! Those are some fun shots! Love these!!! That last one is awesome... Great job! The last two are my favorites too. Looks like they had fun!